The 2016 Ursa Major Awards vote has been opened! Send them your e-mail address, and you can vote for any of the nominations in 12 categories. Voting closes on Sunday, April 30. Please pass on this annoucement if you're on a furry message forum or social media site! The winners will be announced at Anthrocon 2017 (June 29–July 2). And if you have the time to vote, why not also suggest furry creations for the 2017 Recommended Anthropomorphics List? From January 12 to February 28, 2017, it's time to nominate your favorite furry creations for the 2016 Ursa Major Awards! Is there a furry comic, story, movie, video, podcast, or anything else with furry content that brightened your day last year? Nominate it – don't put it off until the last minute! You can nominate up to five things in each of twelve categories. If you're unsure what to nominate, check out the 2016 Recommendations… and you can nominate titles that aren't on that list! It's there to give ideas, to help you find furry stuff that you might not have heard of. Sometimes, a Nomination or a Recommendation feels like it fits into more than one category. You can browse previous years (like the 2015 Recommendations) to see where something should go. As of 2016 there's a new category: Best Anthropomorphic Non-Fiction Work. The results of the 2015 Ursa Major Awards were announced at a presentation ceremony at What the Fur 2016 in Montreal, Quebec on May 20, 2016. 1,157 people voted. 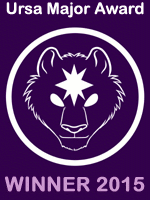 Voting for the 2015 Ursa Major Awards, for the Best Anthropomorphic Literature and Art of the 2015 calendar year in eleven categories, is now open. The voting is open from March 15 to April 30. The awards will be announced at a presentation ceremony at What the Fur 2016, in Montreal, Quebec, on May 20-22, 2016. The eleven categories are: Best Anthropomorphic Motion Picture, Best Anthropomorphic Dramatic Short or Series, Best Anthropomorphic Novel, Best Anthropomorphic Short Fiction, Best Anthropomorphic Other Literary Work, Best Anthropomorphic Graphic Story, Best Anthropomorphic Comic Strip, Best Anthropomorphic Magazine, Best Anthropomorphic Published Illustration, Best Anthropomorphic Game and Best Anthropomorphic Website. Voting is open to all! To vote, go to the Ursa Major Awards website and click on "Voting for 2015" at the left. You will receive instructions on how to register to vote. You do not have to vote in every category. Please vote in only those categories in which you feel knowledgeable. This final ballot has been compiled from those works receiving the most nominations that were eligible. Please check the dates of publication next year to make sure that your nominations are only for works published during the calendar year (January through December) in question. Update (22 May): The results have been announced. It's time for the Ursa Majors again, and while I like to encourage each to put in their own nominations for the popular furry award, I have decided to share the ones I feel should be looked into as the best entries for the year in the game category and go over briefly why they should be there. Because, without a Pokémon game here, it's going to be a very interesting year. Everyone else is putting up lists, and if anything it may help furries connect with games they may have not had a chance to play. For other games you can see the recommended list here. I guess I felt like a rebel this year, because four of the five games on my list are not on that one. So without further ado, here are the five games I am nominating for the Ursa Majors this year, in no particular order. In order to qualify, I feel it should incorporate at least one main character that is anthropomorphic, or cover in some way a world that contains intellectual animals in some degree. You may laugh that I have to define that, but lets not forget what won in 2012 over Dust: An Elysian Tail. 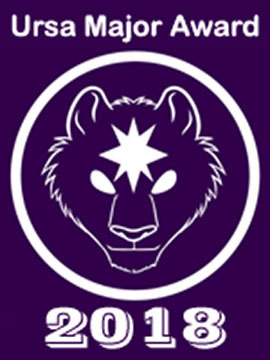 Voting for the 2015 Ursa Major Awards, for the Best Anthropomorphic Literature and Art of the 2014 calendar year in eleven categories, is now open. The voting for nomination was opened yesterday, January 14, and will continue until February 29. Voting is open to all. 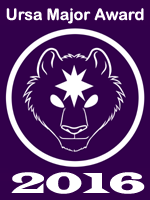 To vote, go to the Ursa Major Awards website and click on "Voting for 2014" at the left. You will receive instructions on how to register to vote. You do not have to vote in every category. It is recommended that nominators please vote in only those categories in which they feel knowledgeable. The The 2015 Recommended Anthropomorphics List can be used as a guideline to help voters; however, works do not have to be included on the Recommended List to be voted for. Works on the Recommended List are also not automatically nominated, either. Flayrah has an extensive series of reviews in a variety of categories to further help make decisions.